The BBC recently brought to end a mock-documentary series about the life of fictitious rock star Brian Pern and his band, Thotch. The series was consistently hilarious and offered a snapshot into the British rock and metal scene of the last 60 years. Sure, Mr. Pern can be seen as a direct mocking caricature of Peter Gabriel with his quotes such as “I invented world music; I was the first musician to use Plasticine in videos.” However, the series helps us understand the state of British rock and metal music over the years, and to some extent, what direction it is headed in currently. For fans of the British rock and metal scene, there was plenty to laugh about with Brian Pern. From his early, Beatles-esque material, through to his over the top prog-rock tracks and out towards his experimental, electronic days after the split of Thotch. Every corner of the British rock scene is covered and mocked. Throughout the series we are treated to insider stories about Thotch’s long and complicated career. The likes of Jools Holland, Rick Wakeman and Noddy Holder (amongst many others) turn up and regale us with their tales of Mr. Pern’s life on stage and off. His was a career of many colours. Anything you can think of that any British rock star did, Brian Pern also did. From his early, pop days, charity and protest tunes, all the way through to the band’s eventual and highly predictable reunion many years after retirement. Whilst each episode pokes fun at lots of different moments in a venerated rock star’s lengthy career (Pern’s protest song ‘Chinese Meal’ is a right hoot), The Life of Rock with Brian Pern rings true for the careers of a lot of British rock stars. Everything in the show is played for laughs, but it is all actually quite realistic and true to life. Not every British rock star dressed up as a crab, but stranger things have happened. Mr. Pern’s life is an over-the-top pastiche of the life of many rock stars. Indeed, Brian Pern’s career largely sums up the life of rock in Britain. The genres he covered, the breakups, the stories. Everything here is true to life. The rock and metal scene has never been exempt from comedy. The grotesquely masculine, fire, leather and blood soaked imagery of metal is ripe for parody, especially in the 1980s. Metal fans by and large know that the music they enjoy is ridiculous, and at times can appreciate that they are part of the joke. This isn’t to say that metal music cannot be serious, but the stereotype for metal music exists for a reason. Metal music can be vulgar, too loud and needlessly aggressive in its lyrics. Judas Priest rides onto a flaming stage atop a huge motorcycle. This kind of thing sets itself up to be mocked, but to be honest; bands knew they weren’t taken that seriously. Speaking after a goofy appearance earlier this year on the Jimmy Fallon’s Tonight Show  – which some Metallica fans took offence to – James Hetfield had this to say: “You have to have humour, you have to… you’ve gotta laugh at yourselves, you’ve got to… not take yourself so seriously all the time.” Metal is easy to mock. What’s funnier than a metal band not taking themselves seriously, is one that takes themselves seriously, and it goes horribly wrong. This is where This is Spinal Tap and Comic Strip Presents… Bad News comes in. Coincidentally in development at the same time as Spinal Tap, Bad News’ first episode (Bad News Tour) is very similar. 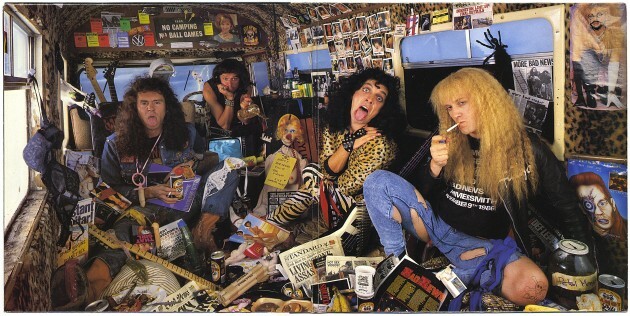 Bad News had a far lower budget, and featured a more anarchic filming style – making a joke of how poor the filmmaking crew were alongside the band. 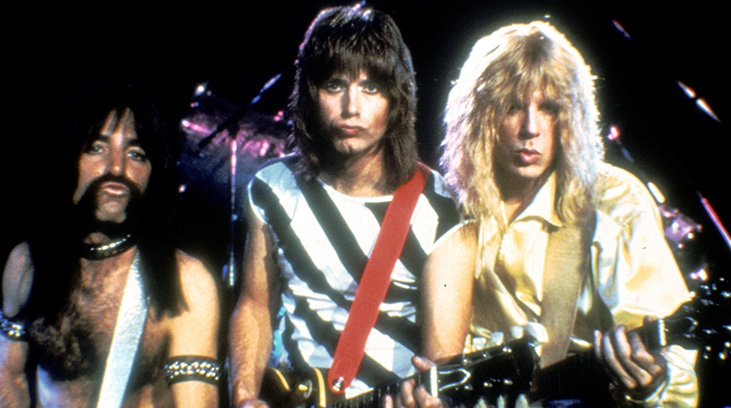 Both Spinal Tap and Bad News are mockumentaries about the struggles of a bad metal band. Both poke fun at the music and all that comes with it. The on and off-stage antics are dumb and overtly masculine. The lyrics are goofy, mocking versions of the kind of things you would have heard from the likes of Judas Priest and Ronnie James Dio. In both, however stupid the bands may seem, there is an element of truth to them. The characters you see in Spinal Tap and Bad News have been plucked from the rock and metal scenes of the 1970s and 80s. Both Spinal Tap and Bad News came at the time of the new wave of British heavy metal. Indeed, Spinal Tap and Bad News both share elements of that movement. There are bits of Iron Maiden, Saxon and Diamond Head in their sound, look and stage presence. Spinal Tap want to emulate the likes of Iron Maiden with their overly detailed and grand stage shows that make use of large props, extravagant lighting set ups and have dreams of sell-out tours playing only in the largest venues. Bad News never had the success of Spinal Tap, but the music video in More Bad News looks and feels like your run of the mill classic, sexist leather and metal fest – requisite with fire, motorbikes, scantily clad women and weapons. Spinal Tap and Bad News offered realistic pastiches to the metal world around them at the time. What of the metal scene since then? The iconic look and sound of the genre has dissipated and scattered to the far corners. The sounds and look of Spinal Tap were synonymous with how the genre was seen – but since then the scene has expanded drastically and become too many things for what seems like a larger, albeit more spread out, audience. “Metal has gone so far beyond that film [Spinal Tap] that I don’t believe the majority of musicians can be taken seriously based on how they look and act.” (Will Wallner) The metal scene has changed a lot since the days of Bad News and Spinal Tap. Sure, the old-guard such as Metallica, Judas Priest and Iron Maiden are still going strong, but the genre has developed into hundreds of sub-genres, making it harder to pinpoint the essence of the genre through look or sound. Brian Pern provides a far more modern look at the British music scene than both This is Spinal Tap and Comic Strip Presents: Bad News. It is difficult to ascertain, however, whether it offers up a more realistic representation of the scene than Bad News and Spinal Tap. The Life of Rock offers up a general history lesson played to comedy, something which covers the ground that Spinal Tap and Bad News walked. All three share similarities, both in format and delivery. All three feature live shows that go wrong in one way or another, and all three go outside of just the TV or cinema screen. You can buy albums and band shirts from all three, and both Spinal Tap and Bad News have performed in front of large festival crowds in real life (Bad News’ spectacular performance at the Monsters of Rock festival was a key scene in More Bad News). All three of the documentaries mentioned offer up realistic enough representations of the British rock and metal scene. While they all present their cases in slightly different ways (Pern’s sillier humour, Bad News’ anarchic style and Spinal Tap’s traditional rockumentary presentation), they speak truly about their respective scenes. 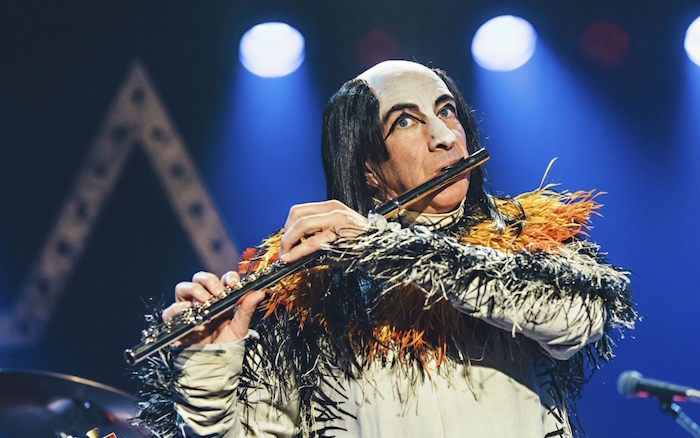 Brian Pern’s scope goes beyond that of just the 1980s, however, and touches upon the state of modern British music, all from the eyes of someone who has seen it all and most definitely worn all of the T-shirts. We see his struggles at getting the band back together (Roger Waters’ damaged relationship with Pink Floyd and their attempts to reunite must have acted as inspiration for this). Brian Pern: A Life In Rock covered a lot of ground, and just as Spinal Tap and Bad News before it, covered it well. 1. Metallica playing on classroom instruments with The Roots. 2. The infamous unboxing of the Smell the Glove album – clip on YouTube. 4. An overview of metal history can be found on Pearlin’s site here.